Why isn’t the monitor outside? We kept the Inspector inside for our daily averaging from March 15, 2011 to early September when we shifted our focus to in-situ multimedia testing that is crucial to understanding the extent of the contamination. We use the Inspector during these investigation and have it at Radiation Station for you to be able to see it 24/7. There is no need to have it outside or face it into the wind. The kind of radiation we’re looking for at first with fallout that may travel across the Pacific Ocean to Southern California is gamma radiation. Gamma travels great distances and goes through just about anything, including you and me. Lead will stop it. In fallout, one the primary radionuclides of concern is iodine-131 which emits a lot of gamma radiation but is a beta emitter as well. If we left the Inspector outside and fallout begins to come down, the beta emitting I-131 could contaminate the instrument. Even without contamination issues, measuring it inside or outside, if at the same elevation, location and not over concrete (which has some uranium in it which skews the readings higher), is the same. Can’t you do it outdoors too? Yes, and we have done so several times a day until we had half a year’s readings which gave us a strong background baseline (though it was clear that the air was hotter during specific times and periods as our readings and graphs bear out). 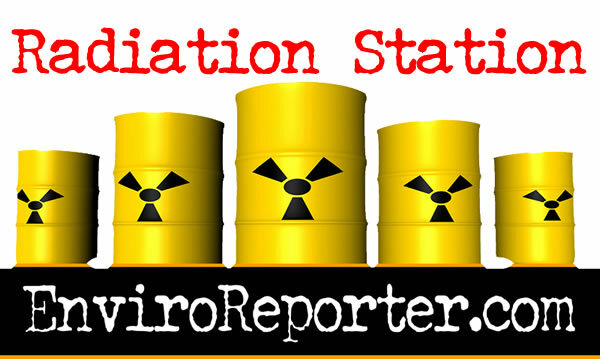 The Inspector is live online 24/7 indoors allowing you to determine what the radiation level is here at the west Los Angeles Basin, upwind of millions of people throughout Southern California. Why do the numbers jump around? Ions from the earth (radium and uranium) and cosmic radiation (including the Sun) do not emit in a steady manner. It’s random. That said, when the numbers go up and stay up, that’s the time to pay close attention. A range of normal outdoor background radiation at this location has been determined to be between 42 to 46 Counts Per Minute (CPM) outside the exterior of Radiation Station. The interior average range is 35 to 40 CPM. These measurements are similar to background measurements taken in this location over long periods of time prior to the meltdowns in Japan. Should radiation measured by the Inspector begin to rise to double background, we will be concerned. If the measurements go to triple background in the ambient air, it will be great cause for concern. While that hasn’t happened yet here at Radiation Station, readings from around the country have come in as high as 170 times background. Click here to see a running list of averages. Can you convert CPM to millirem? Those commercials are by UStream Live. We are using UStream because it is free and easy and we are hoping others will do the same thing we are doing. When do you think my family and I should leave? Before the fallout? Wouldn’t it be too late once it starts? We aren’t going advise anyone. We just don’t know if we will experience contamination, at what level, or where. For all you know, you could inadvertently flee towards contamination and not from it. The state government and EPA say they are activating over 200 fallout monitoring stations. How can I access their information like I can here at the Radiation Station in real time? We don’t know but if anyone finds out how, let us know. Our presumption is you won’t get to see anything and will be told everything. 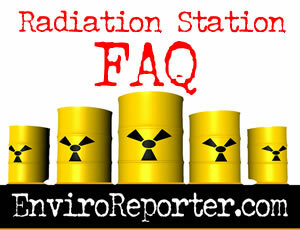 Can you describe the different kinds of radiation and how they can harm you? Yes, and we do throughout our website. 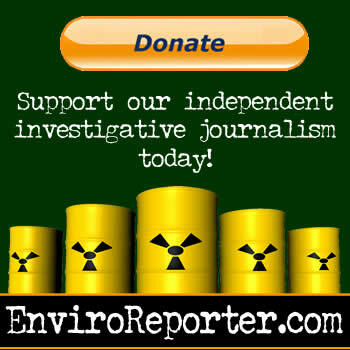 There is a treasure trove of information on EnviroReporter.com and Denise Anne and I invite you to make good use of it.